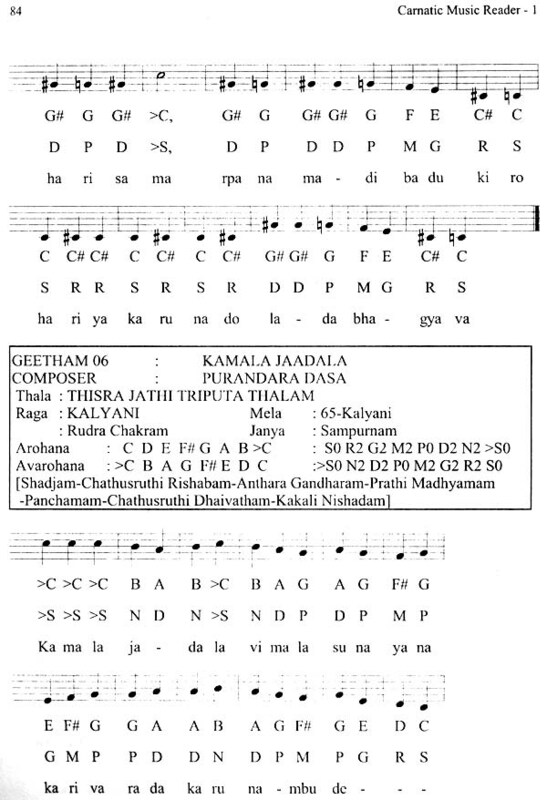 The Carnatic Music Reader Series introduces a systematic study of Carnatic Music with the help of Western Staff Notation. The series has been designed with the beginner student in mind so that the he can learn to play the lessons on western instruments like guitar, piano, saxophone,violin etc. with little effort. The first part of the series starts with a quick course on Western Staff Notation and proceeds with the fundamental sequences of exercises in Carnatic Music for beginners. All the exercises are graphically presented in Western Staff Notation, letter Notation and also the conventional Carnatic Letter Notation. All the fundamental sequences Sarali Varisai, Janta Varisai, Dhattu Varisai, Sthayi Varisai, Alanbaram, Gieetham, Labshana Gieetham, Jathiswaram and Swarajathi are covered in the first series. Indian Carnatic Music in a recognizable universal format will make our Music works comprehensible by a large majority of Western and Indian Musicians who are familiar with Staff Notation System only. The primary motivation in writing this book was to put together the basic exercises in the universal Western Staff Notation System which is a great tool for disseminating Musical information. Western Staff Notation System is easy to learn, more graphical and gives a complete picture of the Music Score. Thanks to Shri .M Easwaran of CBII Publications in showing interest in this project and publishing this Series. I would like to thank to my family members and all friends who had been very appreciative of this endeavour. How do we define Music? Any sound which is pleasant to hear can be Music to ears. Well, this will depend upon person to person, as what is pleasant to one may not be so for the other. A more technical definition for Music is "The organization of sounds with some degree of rhythm, melody and harmony"
Out of the many forms of Classical Music in the World, Indian Carnatic Music is one of the oldest systems. Indian Music had its origins in Vedas. The South Indian Music System had its origins from the Ancient Sangam Period. Perfection of a systematic approach to train students of Carnatic Music was done by Purandara Dasa during the 16th Century. 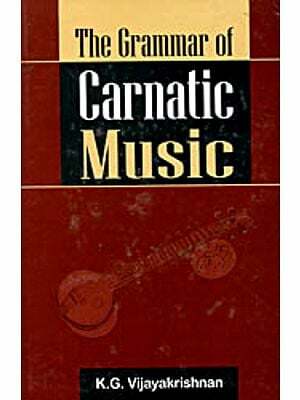 Purandara Dasa, sometimes called the father of Carnatic Music, not only composed thousands of Krithis, but also created a set of repe- titious practice exercises called "Swaravali", "Alankaras", "Geethams" etc which over time has become the standard lessons for the beginners in Carnatic Music. These exercises are in existence for the last many centuries and are the proven tools for any beginner. Though there are umpteen numbers of books which give these exercises, there is a void when it comes to catering to the need of a student who is interested in practicing these exercises on a Musical instrument. The objective of this book is to fill this void and give the student a complete graphical interface for practicing these exercises on a musical instrument. This book is obviously not meant for the experts. Effort has been taken to make the book simple to comprehend and therefore complex technical terms have been avoided, as much as possible. 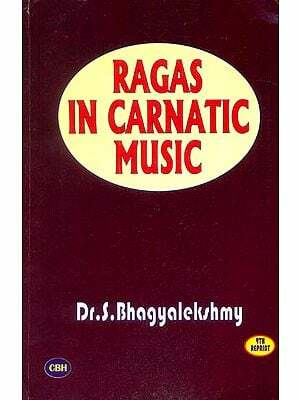 The only prerequisite for reading this book is "Interest" to learn Carnatic Music. First, one will have to get familiar with the abbreviations used in this book. The list is given in the beginning of the book. Abbrevia- tions are designed in such a way that it is quicker to grasp, easier to understand and less confusing.